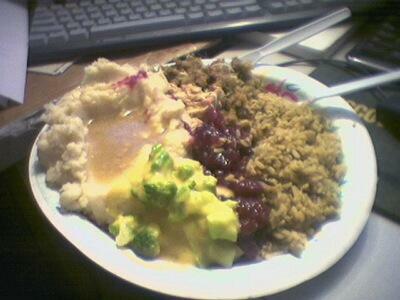 This blob is Thanksgiving dinner. I made it in my crockpot and microwave. Around here, that’s called a gourmet meal. Anyway, the purpose behind this is I was experimenting with a direct phone-to-WordPress plugin. It still needs work. Who knows when I’ll get back to it.